Let's Have a Mortgage Burning Party! In January we made our last mortgage payment!!! I can recall when the mortgage balance was in excess of $500,000! Further, this month we made our second payment of $34,000 to pay off a three year short term loan to construct the marina wall and improved roadway. This time next year, we will be debt-free! Believe me, we have an enviable balance sheet. Congratulations to us! Deep gratitude to all our members, volunteer Board members, and flag officers; especially those that went before us – what wonderful stewardship! The next chapter of our 109 year old Club is ahead of us. Banks review balance sheets, but examine cash flow. Our story is admirable here too, in that we run a tight fiscal ship and break-even over the years. As Treasurer, I want to underscore that our future relies on protecting and enhancing revenue. To that end, please encourage folks to come on down and explore joining our merry band of lake enthusiasts. Work. That’s one element that binds us together as a Club. Work as a shared experience, as volunteers with a common purpose. It is simply unbelievable what we can do, bound by a common purpose. And that’s what it takes to keep the Ithaca Yacht Club a thriving, growing concern in 2016, and going forward. During the next few days, Harbors and Docks members shared possible solutions, including chaining the two sections back together, while correcting the alignment problem. It came down to who could do the work, and this time, we agreed, as a group, that we wanted our key vendor and friend, Ron Knewstub, to look at the problem. Ron and his staff have provided yeoman service to the Club over the years, recently having built the stone and wood-piling dock just south of the bridge, rebuilt major sections of the North Docks, and also teamed with members of our committee, or donated equipment and boats, to allow us to make repairs to major Marina components (This fact alone has saved us a lot of money!). I reached Ron last week in Domenica, Costa Rica. He promised to inspect the C-Dock problem promptly when he returned. On Tuesday, January 26, Ron inspected the break, and called me with his proposed solution. We agreed that he and his team would take a crack at repairing it the next day. Sometimes, even the most dedicated volunteers need to call in the professionals. That was the case, here. On Wednesday, Ron called me and relayed the details of the solution, along with pictures showing the properly aligned docks. On Thursday, he checked the work and called me again. We agreed on one more step to safeguard the docks, which was to be completed yesterday. Working together as a group, with a key vendor-partner, we solved a critical problem for the Club, without great expense. Solving problems together is one of the glues that hold us together as the Ithaca Yacht Club. Resolve to help the Club in some small way this year! Click HERE to read our latest issue of BOWLINES, written by Rich Steinacher, Director of Harbors and Docks. IYC longtime member Elizabeth Boligiano Gordon passed away last week unexpectedly. She was 91. 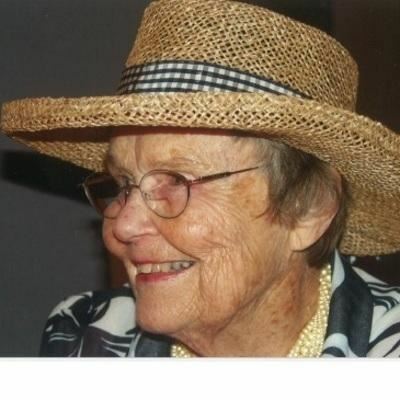 She and her family were members of the club for over 50 years. Liz was energetic, fun loving, and a straight shooter-just this past summer she frequented our restaurant almost weekly. She and Ralph (Bolgiano) sailed their star boat out of the club for many many years. She is survived by four children: Randy, Douglas, Christopher and Elizabeth and their families. A celebration of her life will be held at 3:00 p.m. on Friday, November 6 in the Auditorium at Kendal. Here is the Agenda for our upcoming Fall membership meeting. If you can't make it and still want to vote you can send in a Proxy or email the commodore with your information. As we prepare to shut down the club for the winter months so will our main IYC telephone number (272-9171). Should you have questions about catering or events for next year please call H&J directly at 607-882-960. Questions regarding your membership please call Marge Seamon at LAP (607) 272-4792. Here is this week's Pennant. Fall Membership Meeting Wednesday, October 14 6:30-8:00 p.m.
All members! Please attend our Fall membership meeting. Hear reports from the board, vote on important issues, be a part of next years planning. Bar will be open 6:30-8:30 p.m.